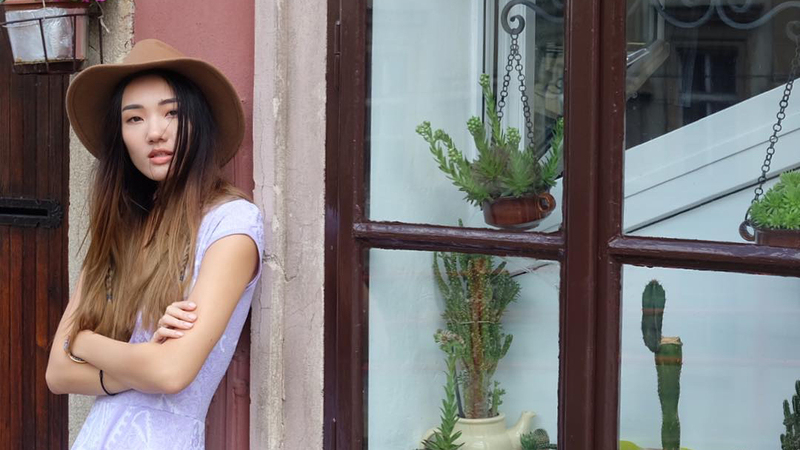 Take some proper wedding inspo from the Castillo couple! 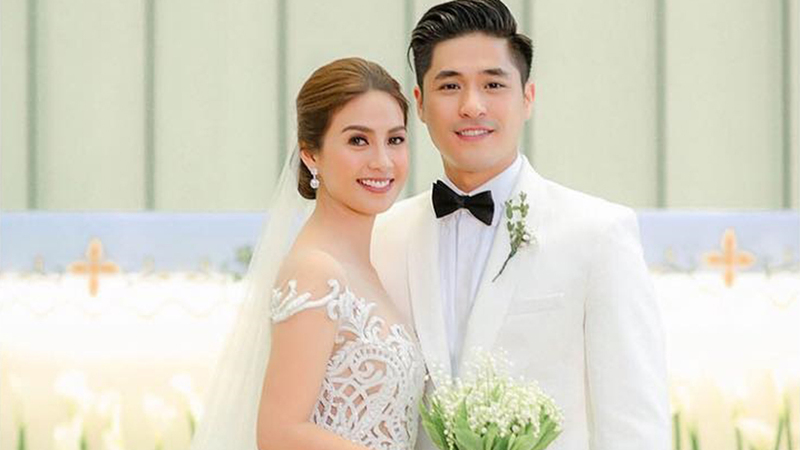 Kaye Abad and Paul Jake Castillo tied the knot last Friday, and it was a wonderful way to kick off the December wedding season. 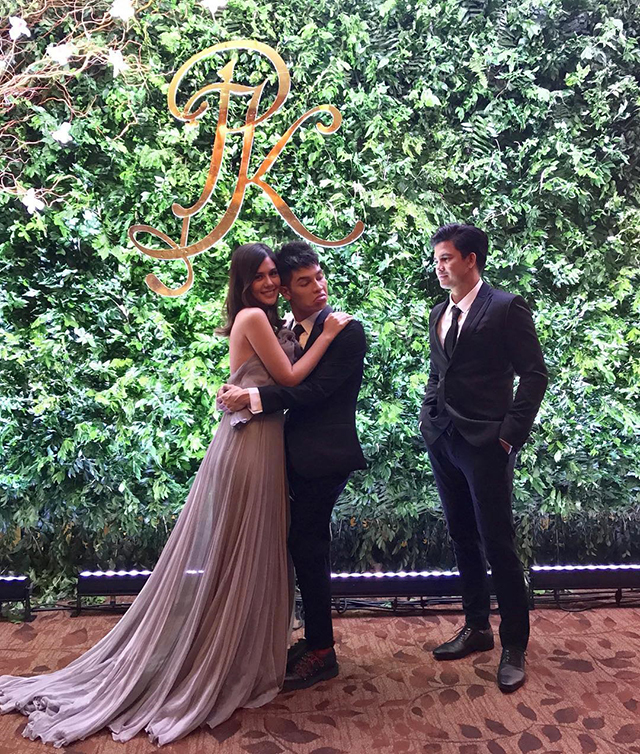 Other than the fun moments that we missed, we thought we'd make a rundown of what we loved most about this star-studded, yet incredibly intimate affair. Keep scrolling to find out more about this dreamy wedding! 1. 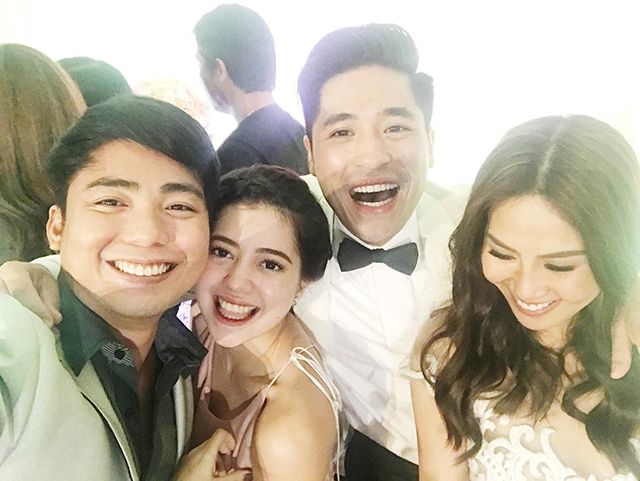 The wedding was held in Cebu. 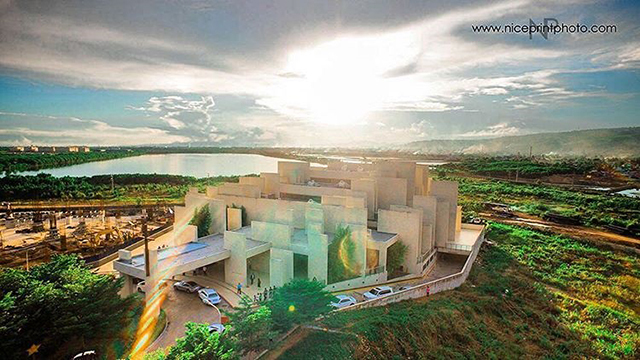 The couple was loyal to Paul Jake's Cebuano roots and brought all their friends and family to the Pedro Calungsod Church in Cebu. 2. 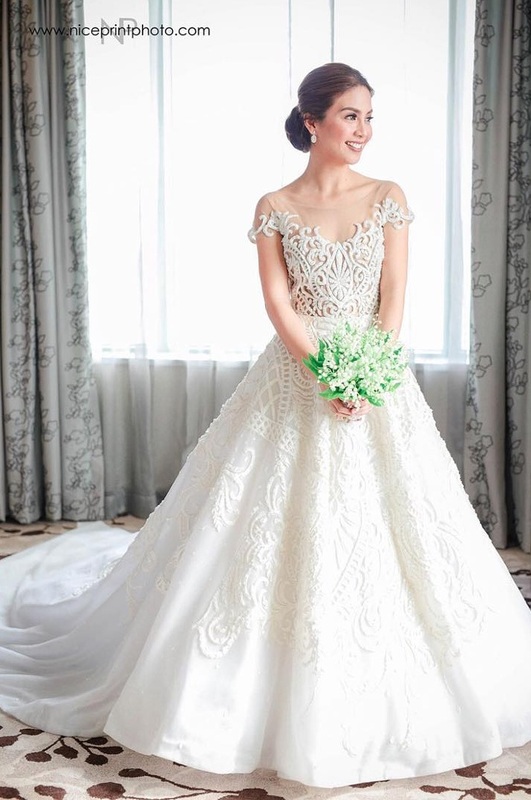 Kaye' wedding gown was by Francis Libiran. 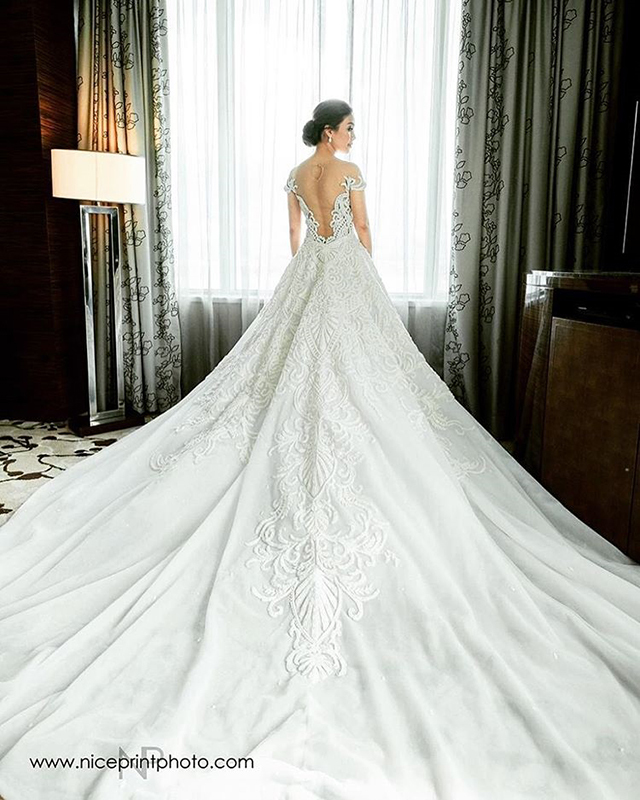 The backless custom Francis Libiran had very intricate embroidered curls and a long train. The off-shoulder straps were held up by barely visible sheer lining! 3. Her bridal boquet was made of lilies of the valley. Kaye specially requested the flowers from florist Gideon Hermosa! The bride with her Gideon Hermosa bouquet. 4. 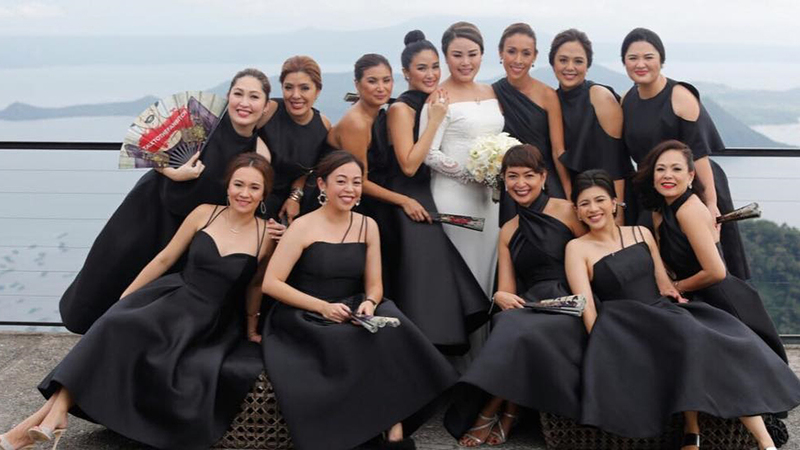 The bride had top-notch glam team. 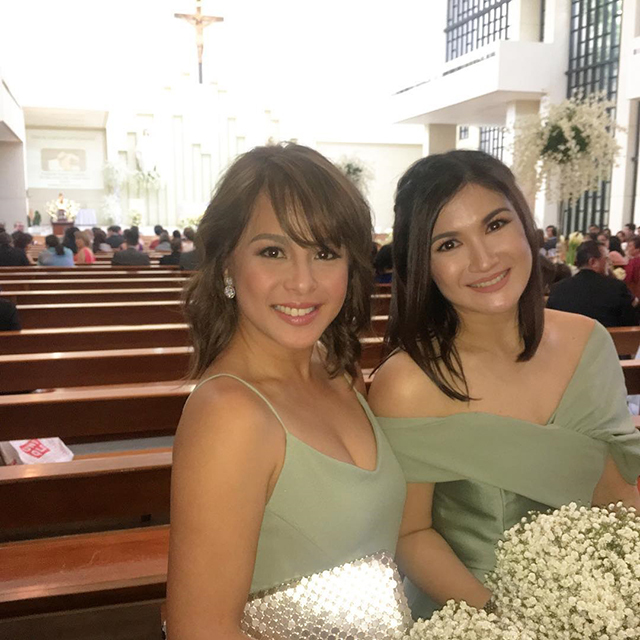 Celebrity makeup artist Denise Ochoa and hairstylist Jing Monis got Kaye dolled up on her big day! 5. 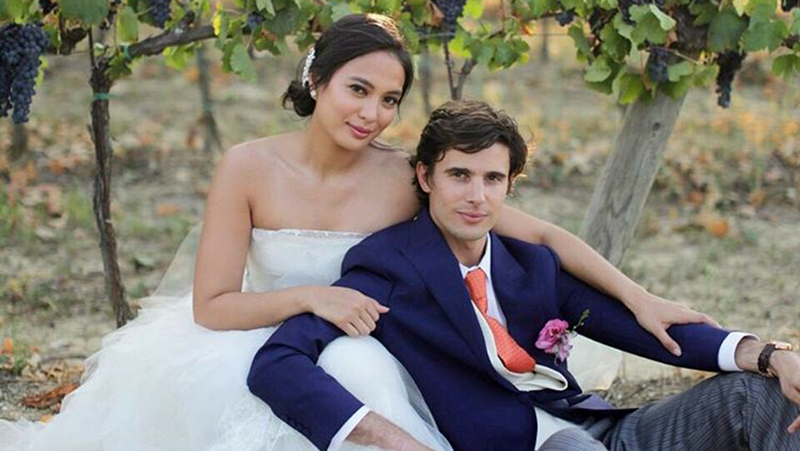 As she walked down the aisle, Kaye's hands were shaking. 6. 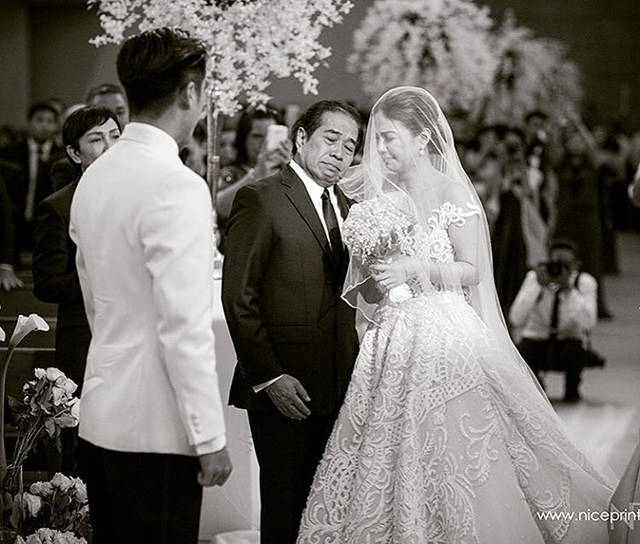 This touching moment between Kaye and her father that brought the guests to tears. 7. It was the early 2000s celebrity reunion we've always dreamed of. 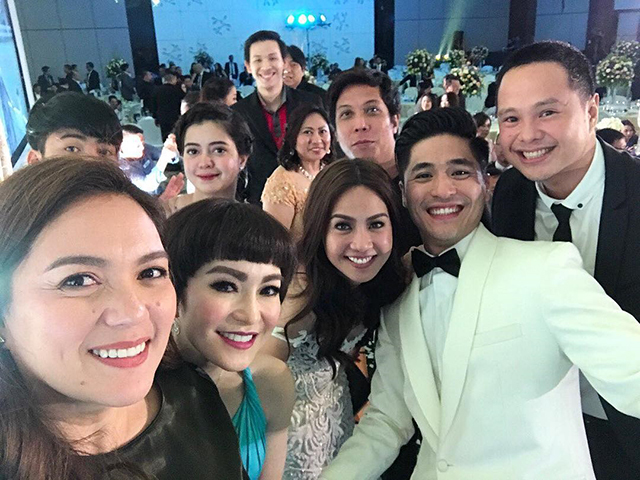 Camille Prats, Nikki Valdez, Patrick Garcia, John Prats, Isabel Oli, and more graced the wedding with their presence! 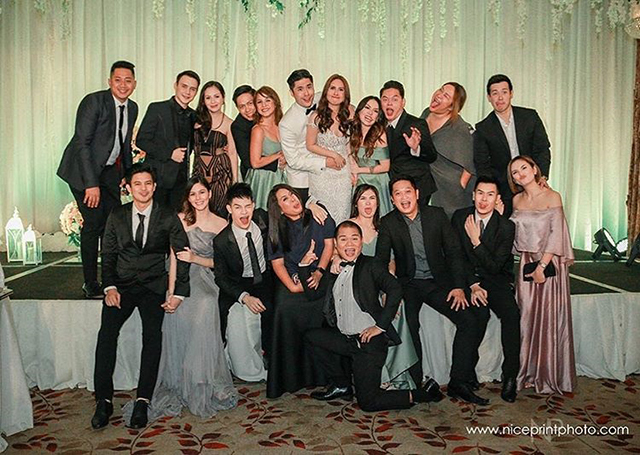 Sylvia Sanchez, Kitkat, Sue Ramirez, and the bride and groom's friends and family. 8. Their adorable hashtag, #CastilloNaSiAbad.  It was a breath of fresh air from the typical punny hashtag, and all the celebs and guests used it to tag their fun selfies! 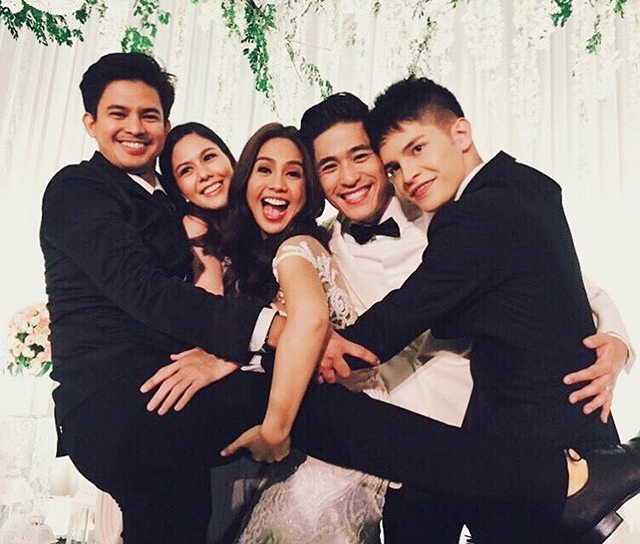 The guests struck a wacky pose with the couple of the hour! 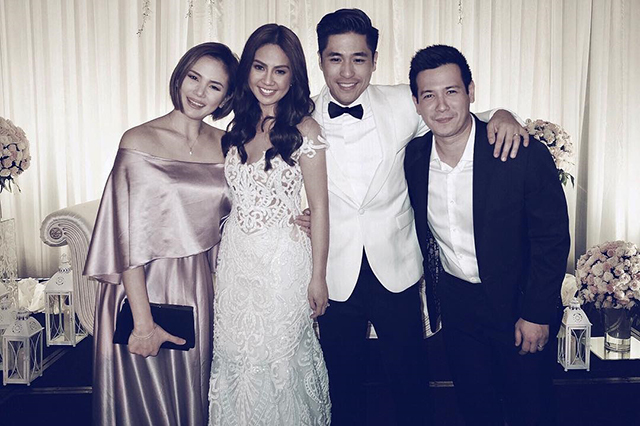 Congratulations, Mr. and Mrs. Castillo!